The Secret Agent - Rapunzel. . HD Wallpaper and background images in the Disney Females club tagged: disney females princess rapunzel secret agent gun audi r8. This Disney Females fan art contains salaming pang-araw, dark glasses, and shades. There might also be sasakyan, kotse, auto, suv, and trak. Sure looks great as an agent. 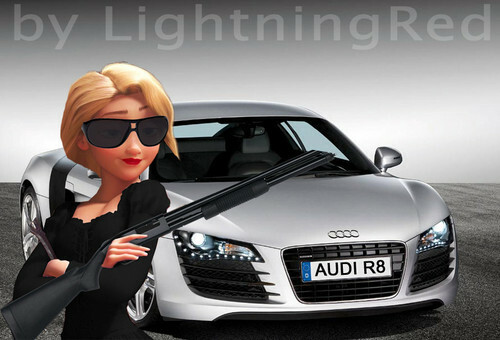 With a gun and Audi R8? !